All Wenonah Canoes are handcrafted from the finest materials and proven technologies available. Every boat we manufacture undergoes strict quality control before leaving our factories. We take pride in every canoe we manufacture knowing it will deliver a lifetime of enjoyment. 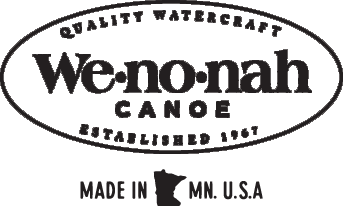 All Wenonah Canoe products are warranted to the original owner against manufacturer's defects in materials and workmanship for life. If you ever experience a product failure due to a manufacturing or materials defect, we will repair or replace it without charge at our option. Damages due to negligence, improper use, accident, wherein the manufacturer is not at fault, will be repaired at a reasonable charge. Shipping costs will be assessed to the product owner at the discretion of the manufacturer. A copy of the original purchase receipt is required for all warranty claims.